In the United States, Veterans Day is celebrated on November 11 of each year. A public holiday, the event marks the anniversary of the signing of the armistice between Germany and the Allied nations on November 11, 1918, that ended World War I. This holiday is also celebrated in honor of all American veterans who fought in various wars worldwide. Veterans Day ought not to be confused with Memorial Day, another legal holiday in the U.S. held on the last Monday of May each year. Both days are celebrated to remember and honor our country’s military personnel. 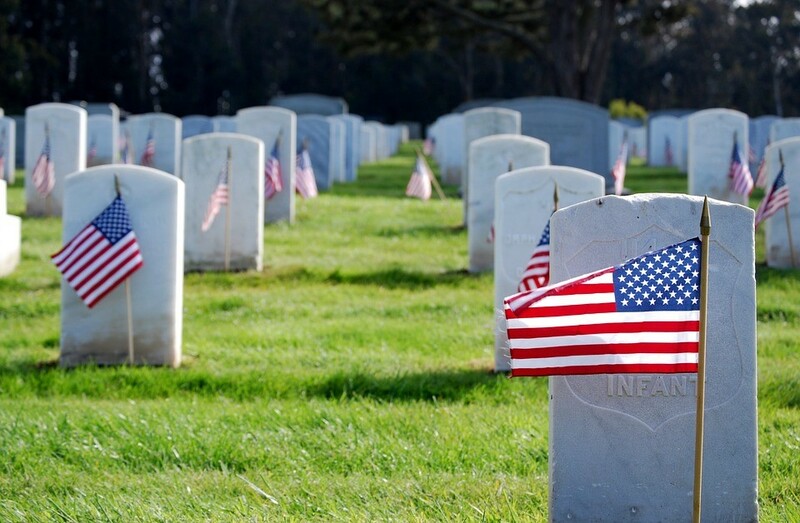 However, Memorial Day is meant to remember those who died in battles while Veterans Day is meant to pay tribute to both living and deceased former U.S. servicemen and women. Express your thanks to whoever you see who once wore our nation’s uniform. Send thank-you cards to a veterans nursing home. Visit a local veterans nursing home and volunteer to cook for the residents. 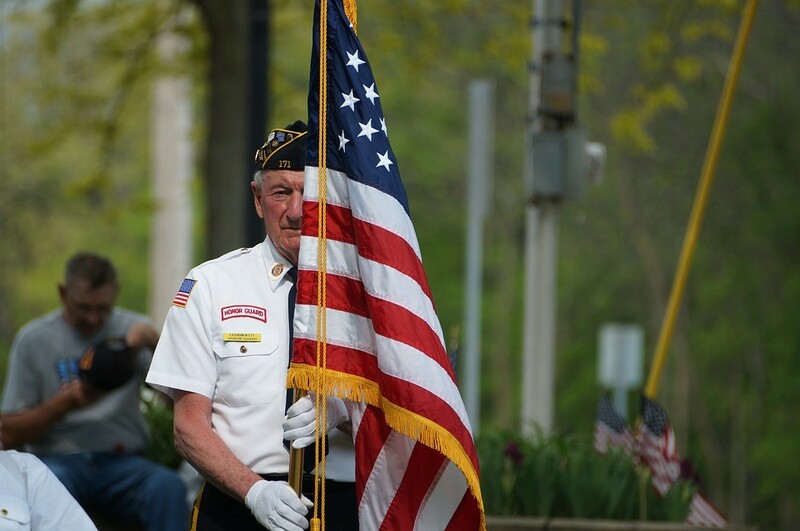 Volunteer to provide assistance to veterans in an assisted living or nursing home facility. During the first anniversary of the signing of the Armistice on November 11, 1919, U.S. President Woodrow Wilson proclaimed that the day should also be observed to honor members of the U.S. armed forces who died while serving the country. World War I was supposed to be “the war to end all wars,” but unfortunately World War II broke out in 1939 and lasted until 1945. This was followed by the Korean War (1950-1953). Hundreds of thousands of American soldiers lost their lives in those wars. In 1953, a shoe store owner in Emporia, Kansas named Alfred King came out with the idea that the nation ought to celebrate the valor and heroism not just of American soldiers who died in World War I as intended in Armistice Day but also of all other members of the U.S. military who died in succeeding wars. He thus started to campaign for turning Armistice Day into “All Veterans” Day. Lawmakers supported the plan and came out with a bill replacing Armistice Day with Veterans Day. The bill passed the U.S. Congress and was signed into law by President Dwight Eisenhower on May 26, 1954. Since then, November 11 has been commemorated as Veterans Day. November 11—Veterans Day is a day to remember all the great things that our veterans have done for us and our country. The event should also inspire us to emulate the dedication to duty shown by our brave former servicemen and women. Let’s not forget that they fought for us and sacrificed their lives to ensure that we will continue to live in a free and secure country. It would be difficult to match the courage and heroism shown by our veterans. However, you can easily do something that would make our veterans proud. By donating an old and unwanted vehicle to us at Goodwill Car Donations, you’ll also be playing hero to your community and the disadvantaged people who live among you. These include veterans who are suffering from service-connected disabilities and other individuals who are likewise handicapped and burdened with lack education and other personal disadvantages that prevent them from securing gainful employment, which would free them from poverty. We sell at auction all vehicles donated to us and use the proceeds to support the critical community-based programs of the Goodwill organizations in your area that cater to these disadvantaged individuals and their families. These nonprofits use the funds to deliver essential services to your community such as skills and job training, career development and placement, scholarships, youth employment, livelihood, disability benefits support, and other community-building programs. Donating a car to us will even be advantageous to you since you will get to remove an unwanted vehicle from your property for free. Moreover, you’ll even receive the highest possible tax deduction based on the selling price of your donated vehicle after it is sold at auction. To know more about Goodwill Car Donations, our donation process, the various types of vehicles you can donate, and other related matters, feel free to visit our FAQs page. For inquiries, give us a call at our toll-free hotline 866-233-8586 or send us your message online. On November 11—Veterans Day, let’s remember our nation’s heroes and those less fortunate people in our communities who badly need assistance, which we can easily offer. Let’s make a difference in their lives. Call us at 866-233-8586, and get started with your car donation!